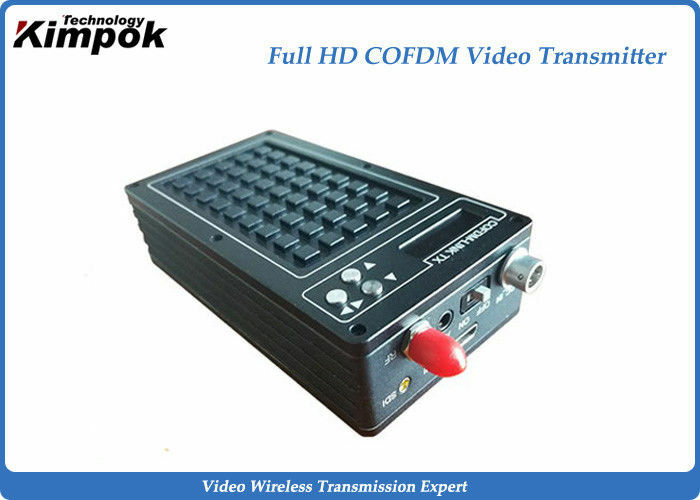 The KP-HD153P is an new design ultra-miniature COFDM digital video transmitter from Kimpok. 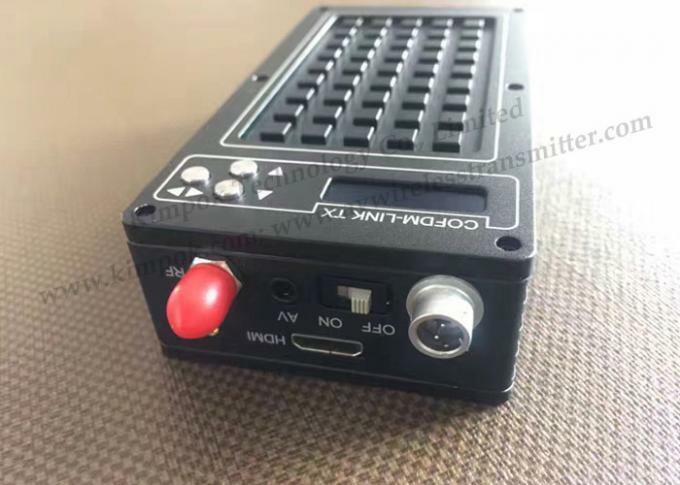 The most prominent of mini transmitter is of composite, AV, HD and SDI video input formats, designed with 3 video ports, HD, SDI, and CVBS on the transmitter, which is perfect for analogue or digital cameras. 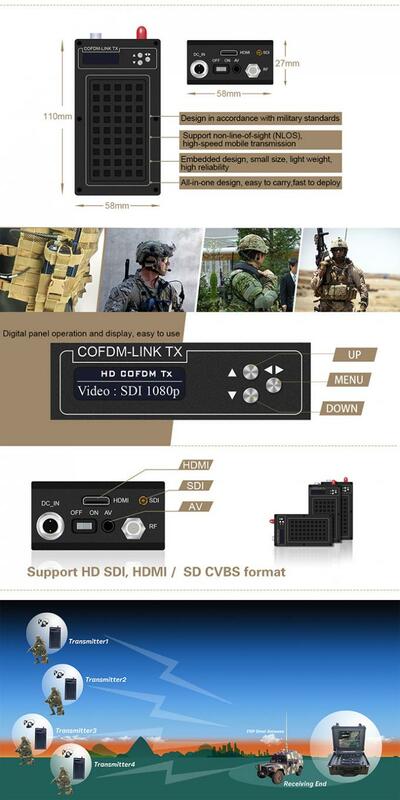 With 4th generation COFDM, narrow-band, and H.264 encoder technology as its code, the small size and triple video ports HD transmitter sends high definition images ideal for establishing rugged wireless video links in different environments, like mobile and urban environments. 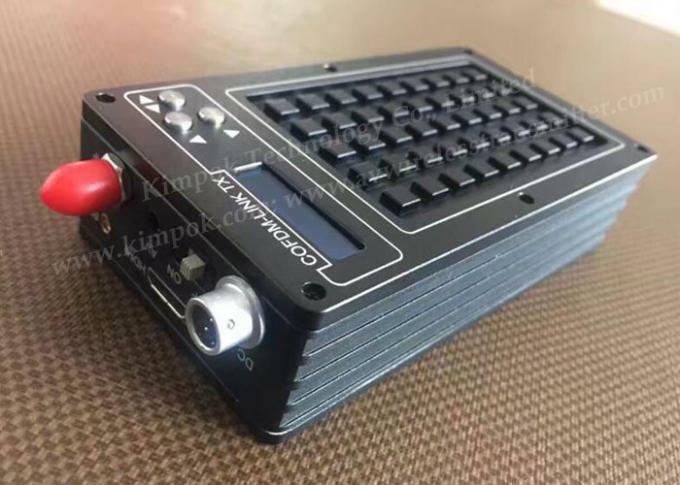 The small size and low consumption make the HD mini transmitter ideal for UAV FPV and body-worn applications, enabling true long range HD video transmission.